Now using our locking speed buckle for quick, non-slip adjustment and the new Quick Drop system makes removing the leg loop elastic easy. The All Around is a great multi-use harness that features four gear loops (xs has two), a rear haul loop, and reinforced tie in points. 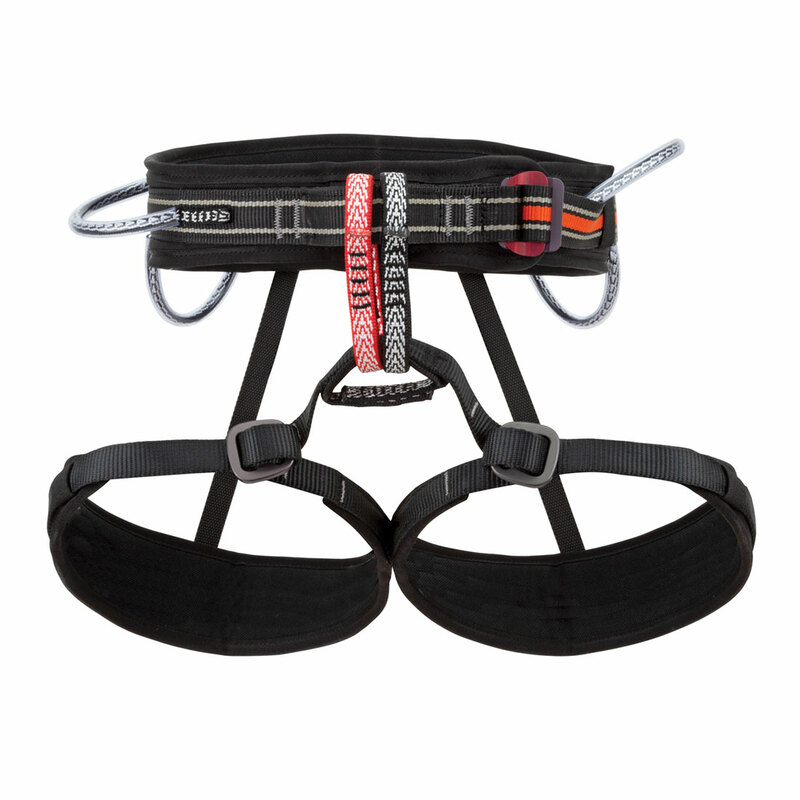 Dual belay loops reduce clutter at belay and rappel stations. One simple, patented buckle adjusts the leg loop size and rise (distance between waist and leg loops) for a natural, comfortable fit.